Family Friendly Theatre is a great way for children to experience the magic of theater and learn lessons along the way! A giant peach and a cast of colorful characters awaits you as Palatine Park District​’s Family Friendly Theatre​​ and American Eagle Productions​ present “James and the Giant Peach” on Monday, January 21, 10:30am at Cutting Hall Performing Arts Center, 150 E. Wood Street, in Palatine. James’ happy life at the English seaside is rudely ended when his parents are killed by a rhinoceros and he is forced to live with his two horrid aunts. When daringly saving the life of a spider, he comes into possession of magic boiled crocodile tongues, and an enormous peach starts to grow in the garden. Venturing inside he meets not only the spider, but a number of new friends including a ladybug and a centipede who help him with his plan to try and get to New York. This exciting musical brings Roald Dahl’s book to life and teaches the life lessons of loyalty and friendship. “Family Friendly Theatre is a great way for children to experience the magic of theater and learn lessons along the way!” Ashley Schiavone, Palatine Park District’s Cultural Arts Coordinator, shares. 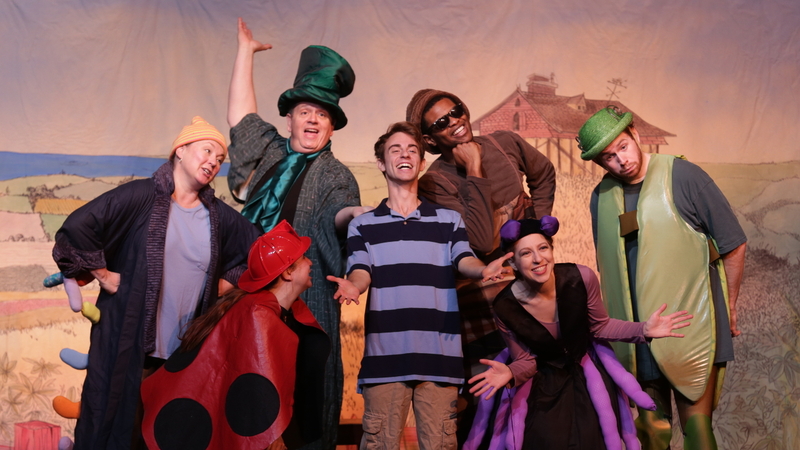 “This production brings the classic story of James and his friends to a new generation of children.” Family Friendly Theatre schedules performances on days off of school that are suitable for children ages 3 to 12 years. Ticket prices are $6.00 for regular admission and $5.00 for groups of ten or more. To purchase tickets, visit cuttinghall.org​​​​ or call 847.292.5222. Additional ticketing fees may apply. According to Palatine Park District Community Outreach Coordinator JP McNamara, Andigo Credit Union​ is proud to be sponsoring “James and the Giant Peach.” Founded in 1939, Andigo is not-for-profit and offers all the services of a bank. Open to the community, they have a branch in Schaumburg on Meacham Road, and their newest branch is located in Carol Stream.